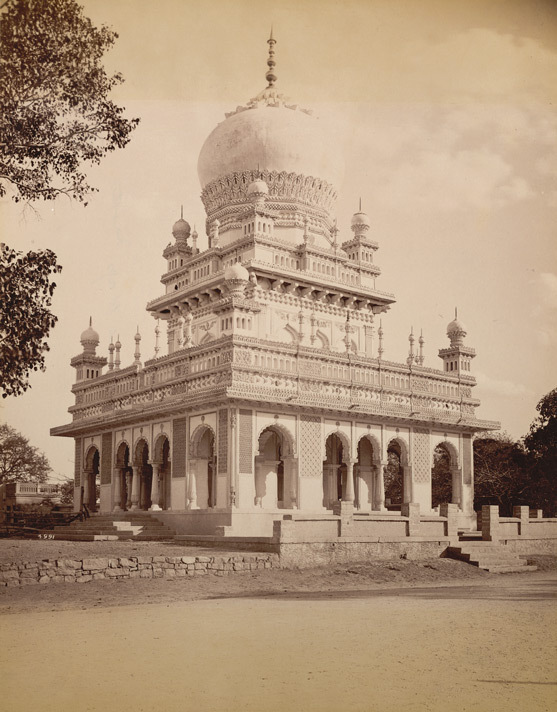 Photograph of a tomb at Secunderabad, taken by Deen Dayal in the 1880s, from the Curzon Collection. The tomb in this view has an onion-shaped dome and finials at the corners of the building; features typical of Deccani style architecture. I think this is near Boats Club.